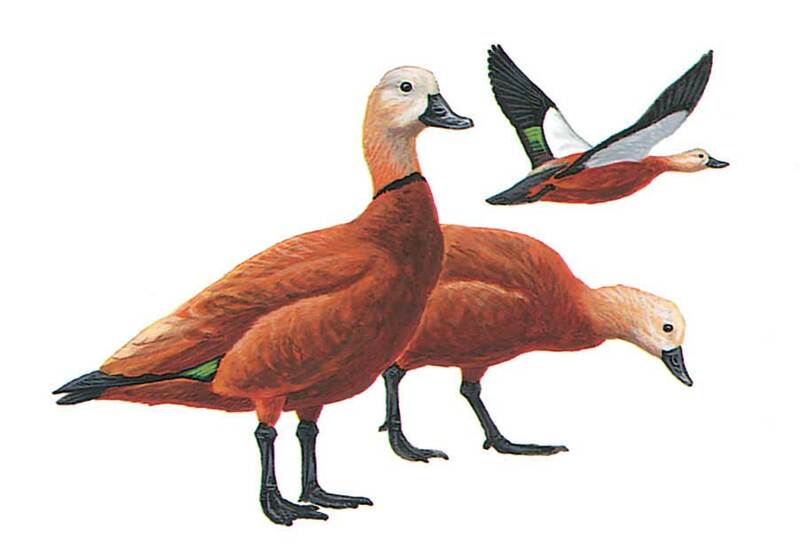 Short necked, small billed, goose like duck with orange chestnut body and paler cinnamon-buff head. Black flight feathers with green speculum, striking white forewing and underwing coverts, and a black bill and legs. In flight told from other ducks and geese by size, striking black and white wing pattern, and orange-chestnut body.